Unposted. 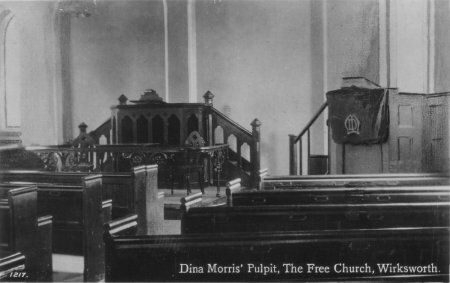 Dina Morris Preaching (from an Old Print). Adam Bede Series No 17, sold by H L Doxey, Market Place, Wirksworth. Dinah Morris was Aunt to George Eliot the author. 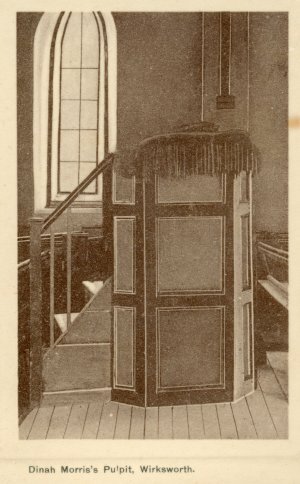 The pulpit has been in the Methodist Church in Wirksworth until 2002, but since has been re-sited in the Engleseabrook museum of Primitive Methodism in the village of Engleseabrook which is about 2 miles South East of Crewe. Unposted. 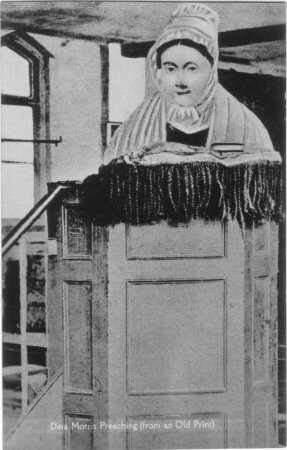 Dina Morris' Pulpit, The Free Church, Wirksworth.